Serving New Hampshire's Lakes Region since 1981. Through our Lifestyle Design process we will work directly with you to identify priorities for how you live in and utilize your home. We will then translate your ideas, dreams, and concepts into the design and ultimately the construction of your new home. 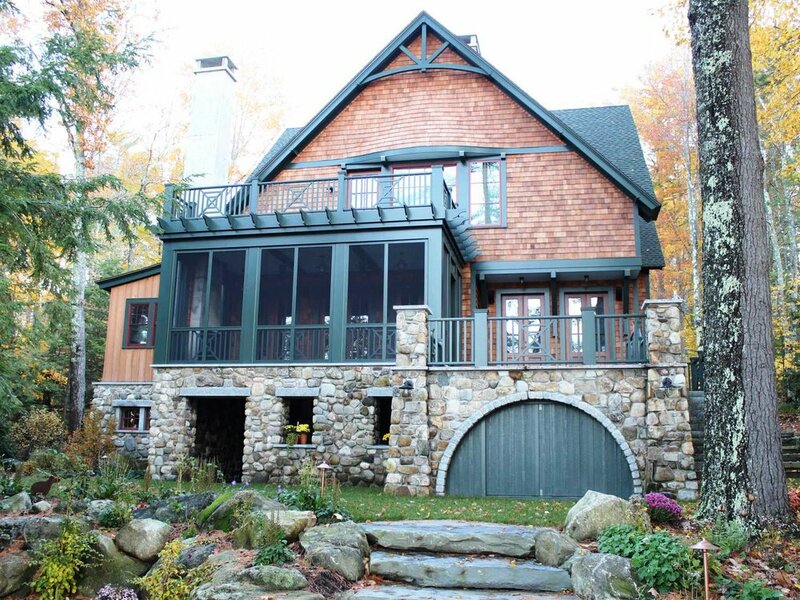 We have designed and completed well over 150 custom homes, additions, and major restorations projects since 1981. We are known for the quality and value of our craftsmanship, and the personal service that goes along with each of our projects. As a full service firm, we offer complete environmentally friendly architectural design, building, and remodeling solutions. These projects fall into all categories, styles, budgets, and sizes, from cozy cottages to water front estates, as well as additions, renovations, and restorations. With the owner's inspiration of Shingle Style homes from the early 20th century, and several months of close collaboration on the Lifestyle Architectural details, this 11,000sf Fenton W. Varney designed and built home, will provide quintessential lake living for the owners and their guests for many generations to come.